Fosston Area Community Fund operates as a component fund of the Northwest Minnesota Foundation. It is guided by a local advisory board that disperses earnings from endowed gifts, supporting charitable activities in four key areas: education and lifelong learning; arts and culture; health and wellness; and recreation and parks. I was contracted to create a one-page design for the group, one which was engaging, communicated the fund’s purpose, and encouraged donations to the fund. The resulting site features photos of funded community projects, is used to post requests for proposals, and directs potential donors to an online giving form. 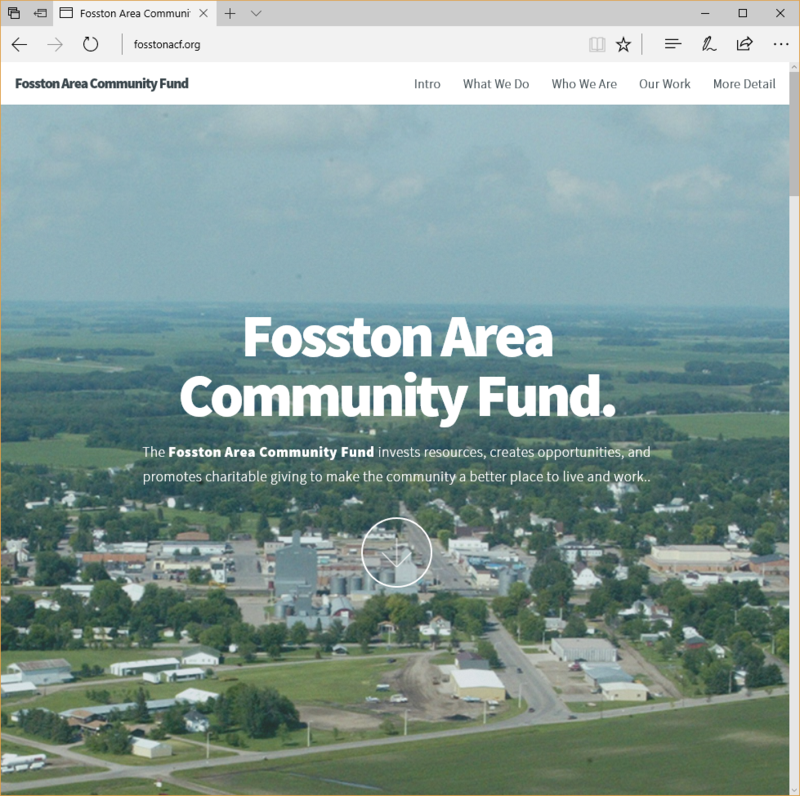 Michelle designed a great website for Fosston Area Community Fund. She developed narrative for the website that made the case for our fund and helped us effectively communicate with potential donors. The design she created was simple, clean, easy to navigate, and visually appealing. Michelle is very professional and gets things done on time. I highly recommend her for web design and related services.